Police in Forth Valley can sadly confirm that a third person has now died following a serious collision north of Linlithgow this week. Two female passengers, aged 21 and 20 were sadly pronounced dead at the scene after a silver Mini Cooper was in collision with a white Scania Articulated HGV on the A904 on Tuesday May 8. The 21-year-old male driver and 22-year-old female passenger were taken to hospital, where the 21-year-old driver has since sadly passed away. The 22-year-old passenger remains in hospital, where she is currently described as stable. No-one travelling in the car was from the United Kingdom but police have not revealed the identity or nationality of those involved. 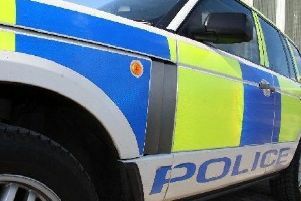 The collision took place at the junction with the A803, known locally as the Champany Junction, around 3.40pm and road was closed until midnight while investigations were conducted at the scene. Anyone with information about the collision can call Police Scotland on 101, quoting incident number 2413 of 8th May.